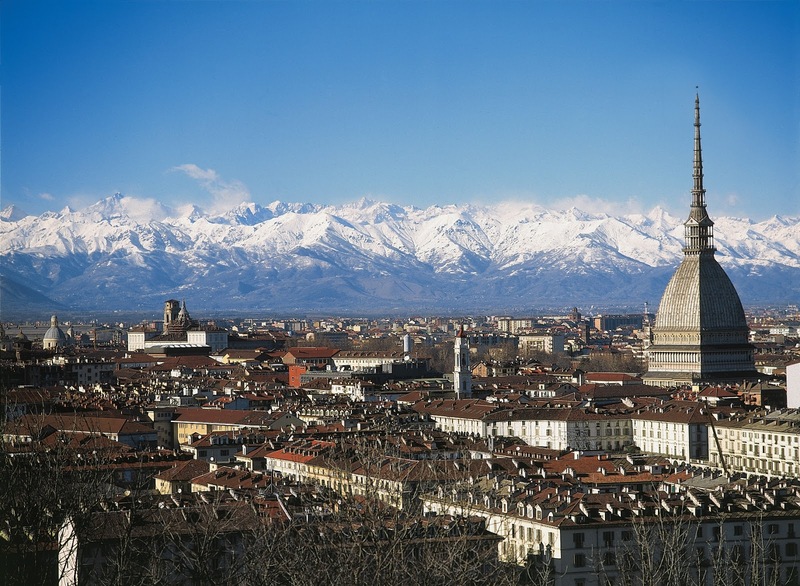 The first thing that strikes about Torino is the poise of its skyline, engulfed by towering alpine peaks. The Piedmontese capital fashions itself as a city of unique charm, one where emperors have walked, kingdoms were born, a place on which power has left its permanent marks upon. Today, Torino is a metropolis glancing at its past whilst pointing at its future with the ambition of a small city which, from a tiny foothill village, has become the capital of a kingdom and a nation, to further evolve into the cinema and automobile capital. Its flavor lingers in between that of sobriety and the typical luxury of a nineteenth Century city, in a vibrant and youthful guise given by numerous bars (pubs and wineries) which, from Piazza Castello – the historical Turinese sitting room – proliferate all over the city. Some not to be missed highlights are the palaces which made the history of the subalpine capital, for centuries at the heart of the Duchy of Savoy and center stage of national unity. The homes in which the former monarchs and noblemen resided are mighty. Once again, Piazza Castello is the starting point, along with the Palazzo Reale, Palazzo Madama and Palazzo Carignano, the most relevant historical buildings in the city. The ideal touring itinerary can start with the extraordinary “wreath of delights”, the astonishing residences that, once designated as game and summer mansions, encircle the city – first of all the Reggia di Venaria Reale. At the same time, religious buildings such as the Basilica di Superga, the Gran Madre, the Duomo, the Consolata and the Crocetta all tell the history of Torino and better represent the work of great architects who made their way into the city, from Juvarra to Guarini. The Holy Shroud is preserved in the Duomo and is accommodated by the eccentric Guarini dome, ravaged by a fire in 1997, today entirely restored. Thanks to the heritage of the Royal House, Torino preserves truly invaluable treasures: weapons, jewelry, tapestries, furniture. For instance, one the most famous drawings in the world, Leonardo da Vinci’s self portrait in red chalk, is well conserved in the Biblioteca Reale. The renowned Collegio dei Nobili is on the other hand the venue of the Museo delle Antichità Egizie, second in place only to the one in Cairo, with a collection of more than 5000 artifacts. Moreover, on the not to be missed list are the Galleria d’Arte Moderna and the Castello di Rivoli. Located inside the landmark of Torino, the Mole Antonelliana, is the Museo del Cinema, the futuristic setup which represents perfectly the conjunction between tradition and progress. Torino is also known as the city of the cinema and movie theatres. The metropolis that witnessed the birth of pictures in motion, first of all Pastrone’s “Cabiria” with D’Annunzio’s writings, is nowadays one of the Italian cities with the highest movie theatres to inhabitants ratio. The Turinese theatrical landscape meets everyone’s tastes as well. Establishments, production and companies all flourish under the Mole, with the colossus amongst them, the Teatro Stabile and alongside it the notorious Teatro Regio, home to the opera, concerts and ballet recitals. It was established in 1404 on the initiative of Prince Ludovico di Acaia, reigning Amedeo VIII, first Duke of Savoy. He began to take a modern form, following the model of the University of Bologna, with the reform of Emanuele Filiberto. In the nineteenth century the university grew much, to become one of the most prestigious in Italy and one of the reference points of Italian positivism, with professors such as Cesare Lombroso, Carlo Forlanini and Arturo Graf. The coat of arms represents the power of the Savoy family over culture: it depicts the sun (God) that gives light to the eagle (symbol of the Savoy) that dominates the bull (the city) and the latter lying on the books (referring to the culture as well as the Bible). There’s also 2I3T, a Bussiness Incubator where the spin-offs related to scientific researches are activated, in partnership with the City of Turin and Finpiemonte. It currently has two sites, one for spin-offs active in chemical-pharmaceutical research (a former Edilscuola complex on Via Quarello) and one for those active in biotechnology research (Biotech School, Via Nizza). For over 150 years, the Polytechnic of Turin has been one of the most prestigious Italian and international public institutions in education, research, technology and services in all areas of Architecture and Engineering. Born in 1859 as a School for Engineers, became Regio Politecnico di Torino in 1906. A long history, which has accredited the University as a reference point for training and research in Italy and in Europe, a Research University of international level that attracts students from over 100 countries and activates about 800 collaborations each year with industries, public and private institutions, and local organizations. EDISU Piemonte, the regional office for university study, offers a restaurant service at discounted rates. - teachers, university staff, lecturers coming from Italian or foreign Universities participants in conventions, seminars and studying activities. The cheapest rate (tariff 1) is always applied to Erasmus and International exchange students. CUS Torino, the University Sports Centre, organizes sports activities and tournaments for students enrolled at the Università di Torino and Politecnico di Torino; the structures are also available at special rates for free time activities. With the CUS CARD you will have access to University structures and sport activities. It is valid for one academic year and it is free of charge for all the students, including Erasmus students. Don’t forget to check out the sport activities organized by ESN Torino! Find out more by following us on Facebook and Instagram to stay posted about our indoor beach volley matches, Erasmus Futsal, indoor climbing and much more! The Museums Subscription is an annual card that allows you to access the museums and exhibitions of Turin and Piedmont for free or at a discounted price. It is the most convenient way to fully experience all the cultural offers of Piedmont. The Museum Subscription can be purchased and renewed comfortably online. For young people aged 15 to 26 (upon presentation of an identity document, the rate applies up to the day before the 27th birthday) or for holders of the Pyou Card. Admission can only take place in accompanied groups of 25 people; it is advisable to go in the morning to pick up the free ticket that allows you to book the first available time. The entrance to Museo del Risorgimento is not included.